Connecting the parsha to current events. Of all the difficulties which our parasha presents, the most conspicuous is the total and sudden retraction of all the ideals that led the Israelites to this point in the exodus drama. Were the ten Meraglim (scouts) so articulate and blessed with the power of elocution that they were able to turn the entire nation (except for the righteous women) against the leadership of Moshe and Aharon? I don’t believe that it was their rhetoric that convinced the nation to reject all that was previously precious in their lives. The answer can be compared to the production process of many common products which are made possible by the infusion of a substance whose sole purpose is to extract impurities. These substances are found in the preparation of food, pharmaceuticals, wines and liquors, to name a few (for example, whiskey is stored in old sherry barrels not to add the sherry taste to the whiskey but to extract the impurities). There is a grave misunderstanding with regard to the influence of the Meraglim (scouts or spies) on the nation’s overwhelming refusal to enter the Holy Land. Common belief has it that the Jews were enthusiastically preparing to enter the land. They were just running to wage war against the giants of the 31 Canaanite city states, despite the Israelites' inferior numbers, unfamiliarity with the terrain, and lack of experience in warfare, and having to attack an enemy which held on to the higher mountain terrain. I submit that the Meraglim have been given too much “credit” for turning the nation away from Hashem. The Meraglim had no input into the decision of the rebels; they merely acted as an extracting factor to weed out the weak and cowardly newly-freed slaves from the unprecedented historical role of liberating the Holy Land. 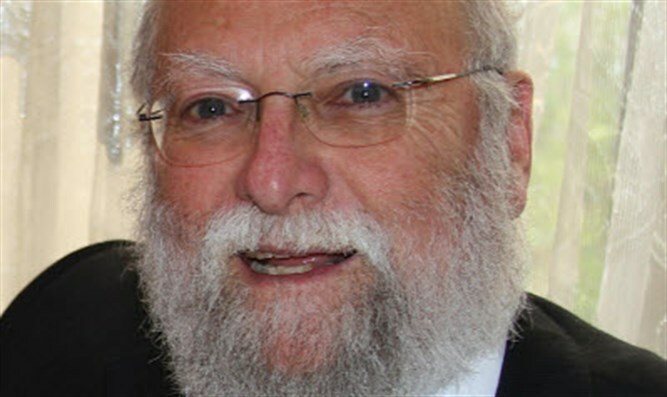 The Jews at the time were searching for a life preserver to liberate them from the overwhelming and unbearable historic yoke imposed on them - including slavery, the exodus, splitting of the Reed Sea, their all-consuming meeting with Hashem at Mount Sinai, the “oppressive” new culture of 613 laws, and the death of so many Jews at the incident of the golden calf. And now to enter the Holy Land and do battle with the powerful Canaanite nations? It was, indeed, overwhelming, but who would save them from the dictates of Hashem? There was no escape for the six hundred thousand newly-drafted soldiers of Hashem’s army. Enter their saviors in the guise of the Meraglim, who would show them the way to peace and solace under Hashem's protective cloud. It would be with a glatt kosher heter to avoid the next stage of redemption - a rabbinically endorsed escape. The people were certain that the scouts would earn a place in Gan Eden for saving them from a mission impossible. In actuality, the Meraglim had zero influence on the people. They merely extracted the weak who were unprepared for the historical test of the moment. The nation was punished not because of the Meraglim but because of their own character weaknesses. This extracting factor appears again in our times. Two thousand years ago, Hashem deemed us unworthy of remaining in the Holy Land. So, we were “extracted” and sent into galut (dispersion). Galut was a functional extraction factor to distance us from the Holy Land. For the past seventy years, after the establishment of Medinat Yisrael, the galut has served as an extraction factor to keep undesirable, dangerous and hostile Jews away from the Holy Land. It also serves to extract many Jews, who do not deserve to be here, causing them to leave the land. The active ingredients in the contemporary galut extraction process are spiritual and political leaders in the galut who point out to large numbers of Jews - including observant ones - that they are being crushed under the weight of historic responsibility. These leaders make them feel that the Medina is too much a challenge for them, just as the challenge to liberate the Holy Land was for the exodus generation, and best to leave it to the Mashiach. The millions of Jews in the lands of galut do not need leaders to “educate” them regarding the importance of remaining in the galut. On the contrary, the Unaffiliated, Reform, Conservative and certain Haredi elements create the leaders who function as today’s Meraglim. The opening of a kollel in Berlin by the Lakewood Yeshiva or a yeshiva in Las Vegas is testament enough to their refusal to return to the Holy Land to prepare for the Mashiach, and the spiritual disconnect of these people from the ultimate ideals of Judaism. 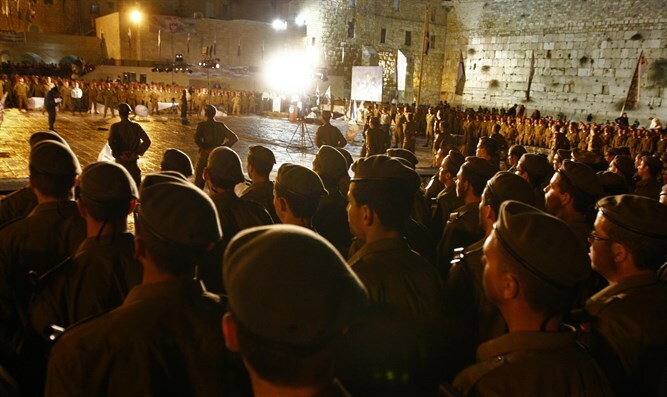 Last week, my wife and I attended a “swearing-in” ceremony of 500 young paratroopers at the Kotel plaza. I was struck by the look on the faces of these young men as they marched onto the Kotel plaza. I was struggling to find the word to best describe the look, when it dawned on me that it was “determination”. Determination to breathe new life into the 2000-year departure from our Holy Land. Determination to defend against any enemy who would harm our people in the Holy Land and Jews in other places. I saw before me the student-soldiers of King David. How proud we were to wave to one of our grandsons who was marching toward his next three years as a soldier-defender of Am Yisrael in Eretz Yisrael. I then heard my wife saying: “May Hashem bless him and all his friends. Watch over them as they serve in Tzahal, for they are the authentic Jews who are preparing our future destiny”. AMEN.